Here in Eldridge, IA, it can get quite hot and humid in the summer months, making air conditioning essential to your comfort. 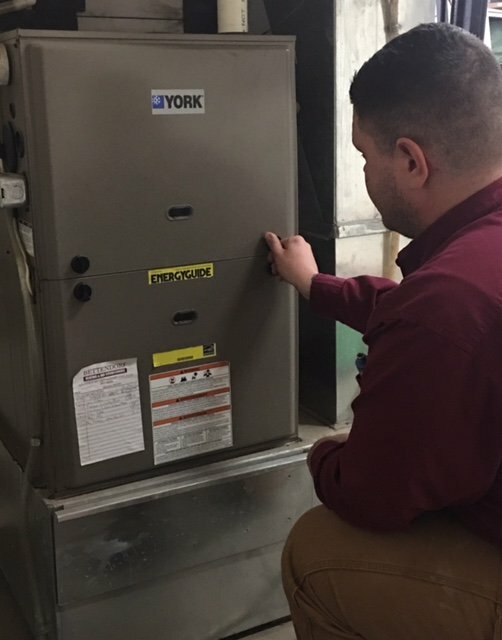 Even during the winter, you'll want to ensure that your system is in good repair so that it is ready to get to work when the weather begins to heat up again. At Bettendorf Heating & Air Conditioning, we can help ensure that your home is comfortably cool at all times. Most newer homes in the Eldridge area are built with air conditioning system, but this isn't always the case for older homes. We can help with air conditioning installation, and we'll always take the time to verify that everything is working as it should. Even if your home does have an air conditioner, you can't expect it to last forever, and our AC installation services include system replacements as well. Once you have your shiny new air conditioner installed, you'll want to keep it blowing that blissful, cool air for many years to come. 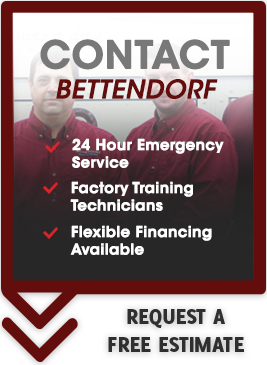 However, if something does happen, Bettendorf is here to repair or replace your air coditioner. Our expert technicians have been trained on how to repair all different models of air conditioners. You never know when you might encounter an issue with your air conditioning system, which is why we offer our services 24 hours a day, 365 days a year for your convenience. When you reach out to us, we'll send out a technician right away to diagnose and repair your system. We'll always provide you with a detailed price quote before we get started. Call us today to book your first appointment with us.